Silkstart helps member-based associations manage their web presence, events, members, job board and calendars by creating modern, affordable and custom platforms. They’ve been very busy since forming in 2011. Shaun Jamieson, CEO of Silkstart, made the (smart) move to Victoria in the Spring of 2014 and the company consisted of just him. Silkstart now has 7 employees, another office in Toronto and they’ve quickly found their groove. Just last month they were finalists at the 2015 VIATEC Awards for Emerging Technology Company of the Year! With their brand new shared office space at 838 Fort Street, they’re right where they need to be. “We take inspiration from being a part of the Victoria startup community; whether it’s helping startups in VIATEC’s accelerator program, participating in Ladies Learning Code, WhiskyDev, or PyVic, or just networking at a Tectoria Social Club or Startup Meetup,” commented Jamieson. You may have also seen Silkstart in the news in early July. They announced a seed round they raised earlier in the year for $550k that included HIGHLINE and a group of US and Canadian angel investors (Including Victoria’s Thomas Ahn of Mad Ventures, John Hopper of Torrent Investments and Boris Wertz of Version One Ventures (formerly based in Victoria and now located in Vancouver). On the product side, they’ve modified their platform to support multi-chapter associations, something unique in the market, and they are starting to onboard their first large customers. They’re also about to launch a Job Board, something many of their customers are excited to use right away, including VIATEC. The team of Silkstart have been working on a brand new site for VIATEC and the Job Board feature is being customized for their needs. VIATEC’s current Job Board has high traffic and is something Members and Non-Members use daily to post jobs and apply for them. This was the perfect project for Silkstart to launch the Job Board. This large project is scheduled to wrap mid August. When the Silkstart team needs to take a break, you’ll find them away from computer screens and playing board games. And being the Tectorian of the Week! Latitude Geographics makes software to help people make better decisions about the world around them (no big deal). “Whether it’s responding to an oil spill, figuring out rain water rebates available to citizens, or tracking polar bears in the Arctic, we provide technology to get information in the hands of people,” commented Steven Myhill-Jones, CEO of Latitude Geographics. 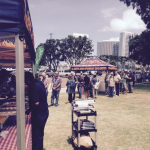 Their team had a booth at the Esri User Conference in San Diego last week where they participated in Geocortex events and where they hosted an annual BBQ for over 400 people! Canadian politeness at its finest! Just two days ago they unveiled Geocortex Insight, the long-anticipated successor to Geocortex Optimizer and they just opened registration for their Advanced Workflows: Foundation Course being held August 4-5. LlamaZOO Interactive is NOT a local zoo where you can ride Llamas. Just wanted to get that out of the way. LlamaZOO Interactive is a local startup that just won the prestigious Startup of the Year Award at the VIATEC Awards last month. 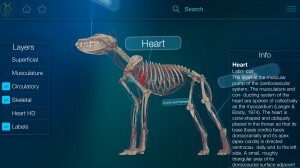 Their product (currently code named “EasyAnatomy”), is a 3D app designed to help veterinary students learn animal anatomy and become better veterinarians. They do this by working with Universities in an effort to create the most relevant content and course material and use data from medical scans including MRI and CT to create the 3D models. 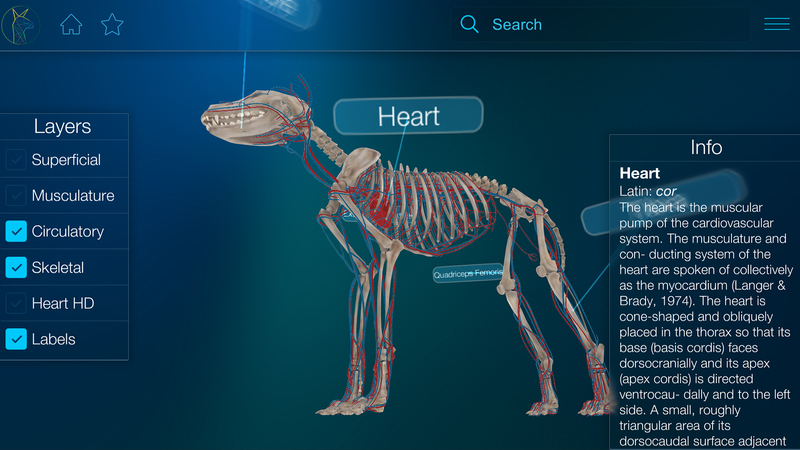 These models are then bundled with written content, course material and quizzes to allow students to explore the full animal anatomy at their leisure. 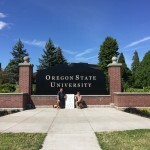 In fact, founders Charles Lavigne and Kevin Oke, are currently on the road to Oregon State University. Charles Lavigne started in the games industry by studying 3D animation and design, and later Game Design at the Vancouver Film School. He has 10 years of experience designing games and player experiences for companies including Electronic Arts, Ubisoft Montreal and Microsoft and consulting for smaller studios, startups and indie developers. Kevin Oke has 9 years of experience. Most recently he worked as a design, production and business strategy consultant with Fox, Nickelodeon, Arnold Worldwide, The Chernin Group and many small startups on over 30 projects. Prior to consulting, Kevin worked at Electronic Arts, Ubisoft and Next Level Games. 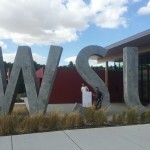 Together they have been dominating since 2014 with an idea that came from Kevin’s girlfriend practicing to be a veterinarian and identifying a lack of useful apps to help her study. You can find LlamaZOO’s office at Fort Tectoria or contact them by emailing hello@llamazoo.com. They’re currently seeking investors! 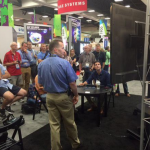 The VIATEC Awards started 14 years ago and it definitely wasn’t the production you see today. It started as an e-Commerce event with 110 attendees. In 2002 it officially became the VIATEC Technology Awards and 220 attended it at the Grand Pacific Hotel. In 2003 it moved to the Crystal Ballroom at the Fairmont Empress with 330 guests. In 2004 we made the move to Carson Hall with 450 guests. 2005 onward, we stayed at Carson Hall climbing into the 500’s, hitting an attendance of 600 in 2011 and reaching 700 last year. Last week’s event brought out 750+ Tectorians, 1000 balloons (with 50 additional mini orcas squeezed in the nets), 50 BIG Orcas, 11 funky mirrors, 9 projection screens, 8 bubble machines, 7 interactive cube lights, 7 tower lights, 3 interactive mirror boards, 1 AWESOME Band with 1 Jesse Roper, 1 Spoken Word Poet (Jeremy Loveday) and 1 breathtaking, projected sculpture. 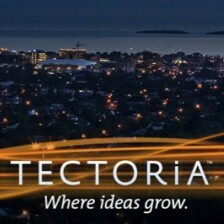 Thank you VERY much for being a part of the madness and celebrating with Tectoria. We look forward to squeezing in a few more tables next year! Click here for a special message from Dan Gunn!